I recently had the opportunity to meet Ellen Albertoni the Central Coast Designer behind A9 Designs. I met Ellen at the Salinas Rodeo and knew she was the kind of artist sealaura readers would love. 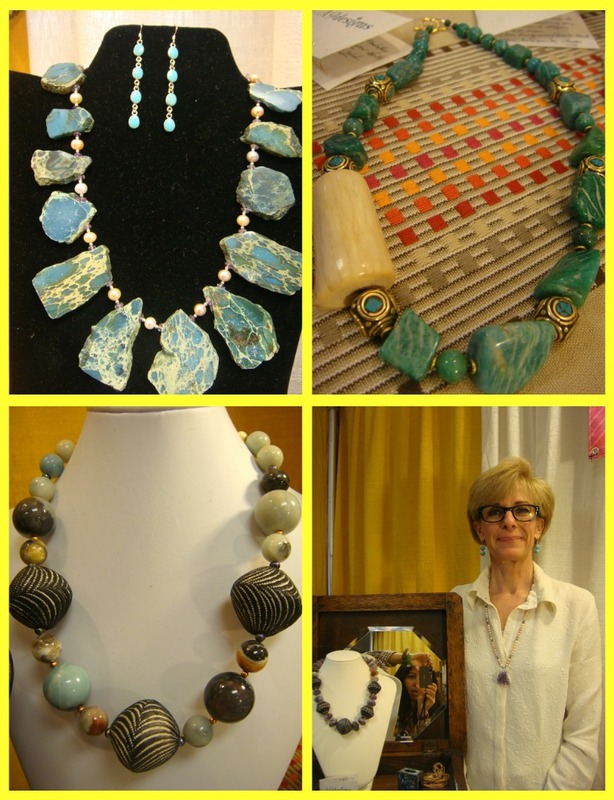 Her pieces are earthy, raw, and bold. Ellen was kind enough to do an interview and share her thoughts about design and her inspirations. How did you get started with jewelry design? * My interest in jewelry grew out of my interest in the importance personal adornments to individuals in different cultures. This focus was heightened after I returned to school, after years of owning a hair salon, and focussed on anthropology and archaeology. What is the A9 designs "girl" like? What does she like and what is her style? * The A9designs "girl" embraces difference and diversity. She enjoys the unique qualities of piece made by hand, is a bit of a trailblazer, and supports the notion of repurposing as means of both being ecologically aware and of keeping the spirit alive of someone or something that may have otherwise been discarded. What is your signature piece or style of jewelry? * Bold AND Spiritual: Bold in the choice of materials that I assemble together. Spiritual in the thought, care, and positive energy that is incorporated in each piece. My desire is that my pieces will, in whatever way, enhance an individuals life. * Nature, a song, a poem, historical moments in time, and the influence of very special people in my life-friend, relatives, saints, and sinners. How do you spend your non-design time? * Aside from the tasks that go along with growing a small business, I spend my time searching for new and interesting materials, volunteering, visiting with family, antiquing, exploring new places, and reading/listening to audible books. What are your favorite places or things to do in Monterey? * I enjoy the trails along the beach-walking and kick biking-snooping around Old Fort Ord (CSUMB), and wide open spaces. Thanks Ellen! If you have a minute check out more of Ellen's designs on her A9 designsfacebook page. wow, what statement pieces! i am really liking the second ring (all silver, i think). thanks for taking the time to interview ellen for this post. 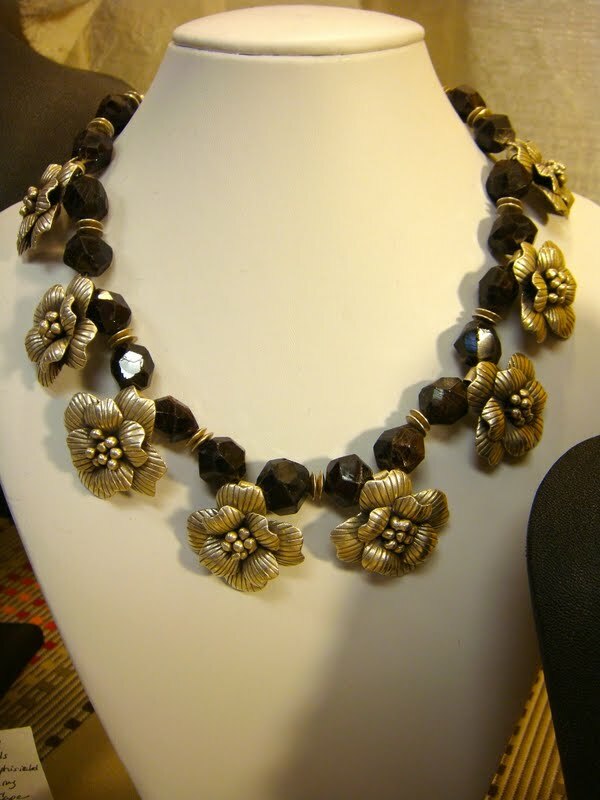 The brown stone necklace with the flowers really got my attention! I love it! I'm in love...each piece is so bold, beautiful and great statement pieces. Thank you so much for sharing this with us. I am a bracelet and ring nut...just love this post. Love the jewelry. So nice to learn more about the artist and inspiration behind the pieces. 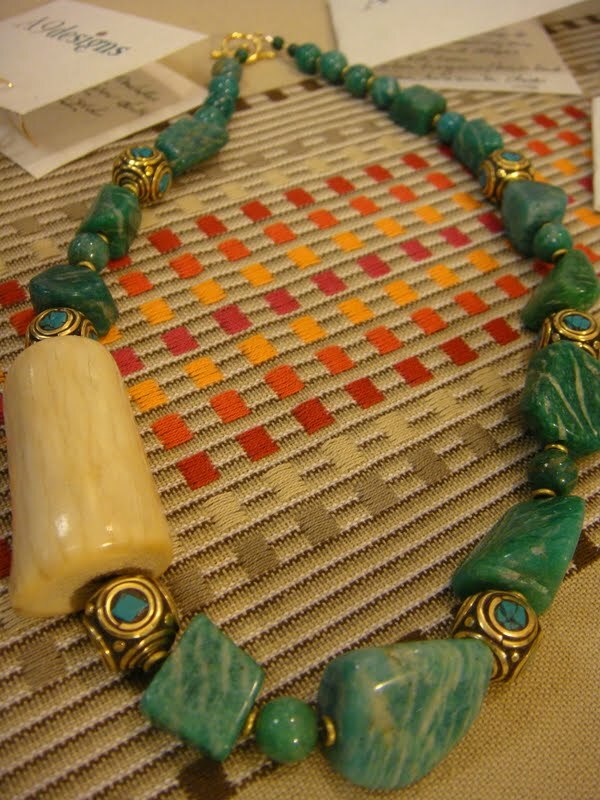 The turquoise necklace is amazing. OOh....here jewelry is so beautiful!! 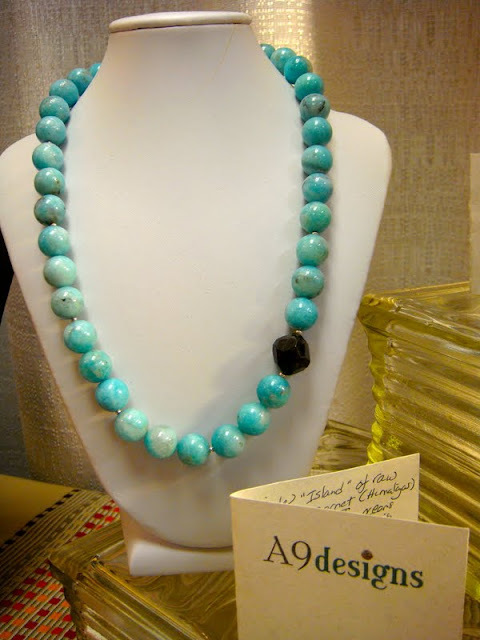 I love that chunky turquoise necklace! I love to learn the story behind "the product!" Thanks for sharing!! And have a great weekend! laura, you gave a perfect description of her jewlery. it is very bold, and i enjoyed "meeting" a new artist! i'm headed over to ck A9 design !!! I think her rings are exceptionaly gorgeous!